Digital Forensics | The MCS Group, Inc.
MCS understands the critical role that data collection and forensics plays in your litigation strategy. That's why our experienced consultants serve as your true partner, providing advice and counsel on all aspects of your electronic data acquisition requirements. The collection, preservation, and analysis of digital evidence are essential to build a strong case. Our experts utilize their combined technical and investigative skills to recover lost, deleted or protected files, while preserving the evidence in accordance with federal and state rules. MCS is the best in the business in the integration of resources and technology to get the job done. As our modern-day technology advances, mobile devices are becoming more important than ever in the world of digital forensics. Our experts utilize industry-leading software and equipment to properly capture the data on these devices and help you get the information that you need from them. When you get rid of your old machines, you want to make sure any previously stored personal information is removed before disposal to prevent it from getting into the wrong hands. Rest assured knowing that MCS has the tools you need to totally remove all of this sensitive information from your hard drive. Alternatively, if you accidentally delete or lose an important file, MCS has the capabilities to recover it. Our experts are trained to handle these very sensitive operations to make sure your critical data is not lost forever. If you drop or damage your hard drive, we have the tools to inspect, diagnose and repair any damages that were done. If your server crashes or dies and you need to extract all of the information from it, we can help you! Similarly, if the raid has become misaligned, we have the ability to put it back together. If you accidentally deleted a file, don't panic! 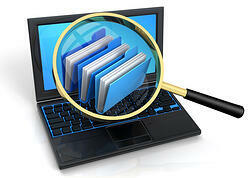 If you contact us immediately, it is possible that the file is not yet lost forever and can be recovered. If you suspect that any of your data has been lost or deleted, stop using your computer immediately and contact us right away! Contact us today to find out how MCS can help you. 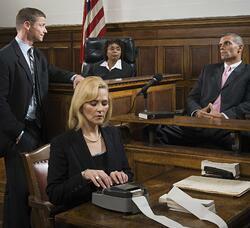 Expert witness testimony is required in many cases in order to support statements made. MCS can provide witnesses to you who are extremely experienced in their professions. Our experts are certified and able to stand trial to answer the important questions that the opposing counsel has brought to the case. Even if our presence is not required at the trial, you will receive detailed reports of anything that we investigate for you for your use at the trial. Our certified consultants have the knowledge to help you in all technical aspects of your case by helping you to understand not only the forensics process but also answering any outstanding questions that you may have. 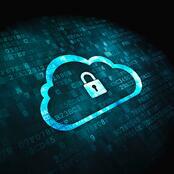 For more information, download our Digital Forensics brochure.